RIT researchers propose that the outer gas disk of spiral galaxies could be teeming with black holes that emit gravitational waves as they collide. 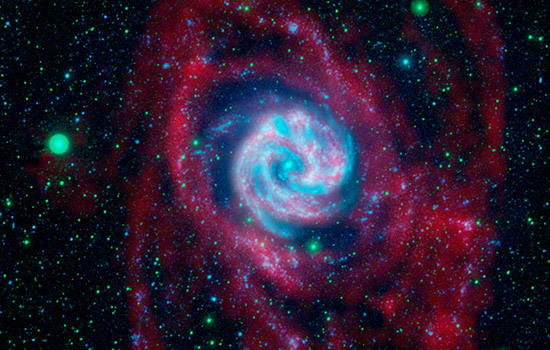 Shown here is the Southern Pinwheel galaxy seen in ultraviolet light and radio wavelengths. The radio data, colored here in red, reveal the boondocks of the galaxy where orbiting black holes might exist.